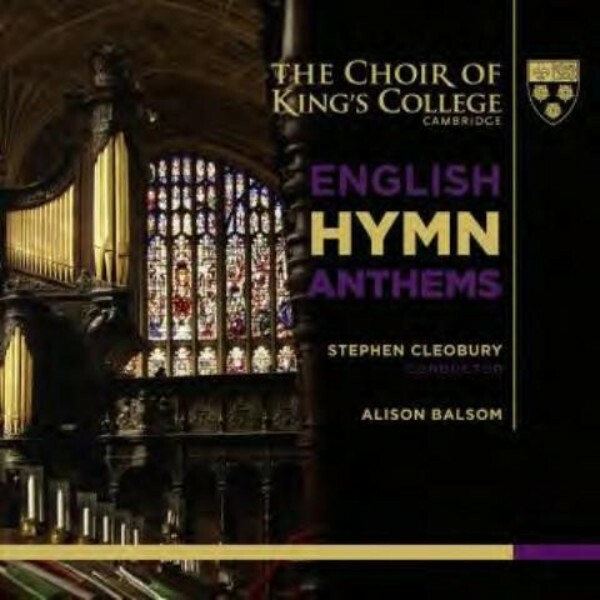 The first release of 2015 from the Choir of King’s College, Cambridge presents the choir singing anthems based on hymn tunes from the Anglican choral tradition. 'English Hymn Anthems' continues the choir’s active commitment to expanding the popular understanding of choral repertoire through original research and recording. Highlights include Parry’s epic' Hear my words, ye people' and 'Lord, Thou has been our refuge' by Vaughan Williams, featuring the trumpeter Alison Balsom. It provides at once a survey of traditional services at King’s College Chapel and a window into the little-known form of the hymn-anthem. King’s College Choir owes its existence to King Henry VI, who envisaged the daily singing of services in his magnificent chapel. The 16 choristers are educated at King’s College School, whilst the 14 choral scholars and two organ scholars study a variety of subjects in the College. This remains the Choir’s raison d’être, but its worldwide fame and reputation, enhanced by its many recordings and broadcasts, has led to high-profile performances around the world. The highlight of the choral year is the worldwide live radio broadcast of the renowned Festival of Nine Lessons and Carols and the television broadcasts of Carols from King’s and Easter from King’s.